It’s time to move on to our first mitten in this KAL. 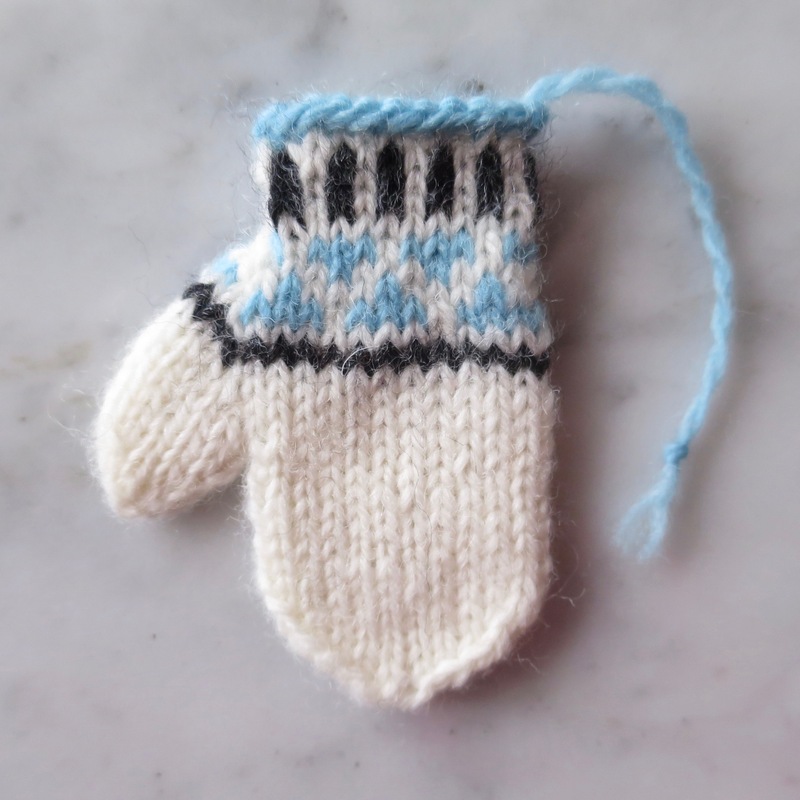 This wee mitten was inspired by the look of Sami mittens. Download the Wee Sami Mitten Pattern or look for an update in your Ravelry library if you purchased it there. I added the tassel to add to that Sami look, but it is totally optional. On the wee size, I just used the cast-on tail as the tassel. On the tiny size, I left tails for each color as I added them in and then braided them together for the tassel. I’ll be blunt with you, the mittens are probably the most fiddly of the items to make, especially at the wee size. You are only working on 22 stitches for the hand and 12 stitch for the thumb. If you are working on dpns, this is the time I find using the short sock needle ones (4 or 5 inches long) really comes in handy. Still with a little practice, the knitting isn’t that hard and I know you can all do it. (I did forty of even smaller ones for party favors last year and they just flew off the needles after awhile.) The tiny size is just slightly smaller than the mittens we did for the Advent Calendar and Twelve Days of Christmas. 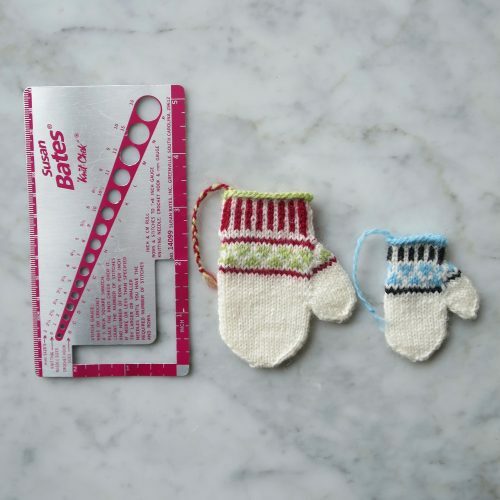 I think these would look adorable knit up in pairs as well! 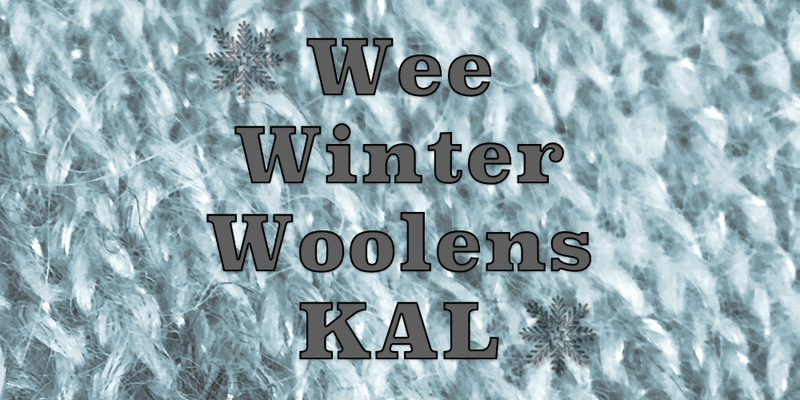 2 years ago by Kat in Christmas , Holiday , Knitting , Knitting Projects , Needlecraft , Projects , Wee Winter Woolens KAL | You can follow any responses to this entry through the RSS feed. You can leave a response, or trackback from your own site.